Levar is the Portuguese word meaning to take or carry. 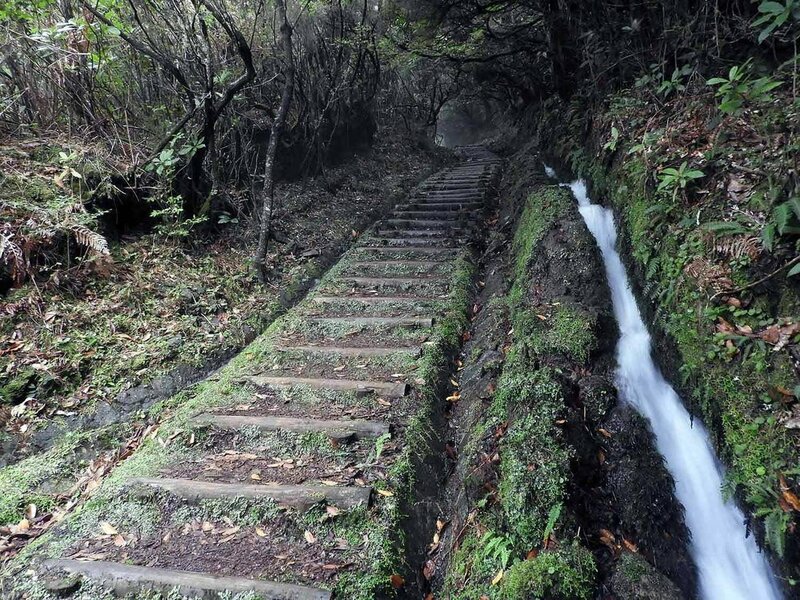 A Levada is a canal used to take or carry water from the rainy side of the island to the dry southern side. Although we only had 1 week on the island to explore we were able to hike just over 100km of trail in 5 days! Most hikes are best or only accessible by car though many are possible by public transportation (be aware of route times!). Many Levada trails go through tunnels, underneath waterfalls, and in general are quite wet/muddy, so don't forget your head lamp, rain jacket and good (waterproof) hiking boots! 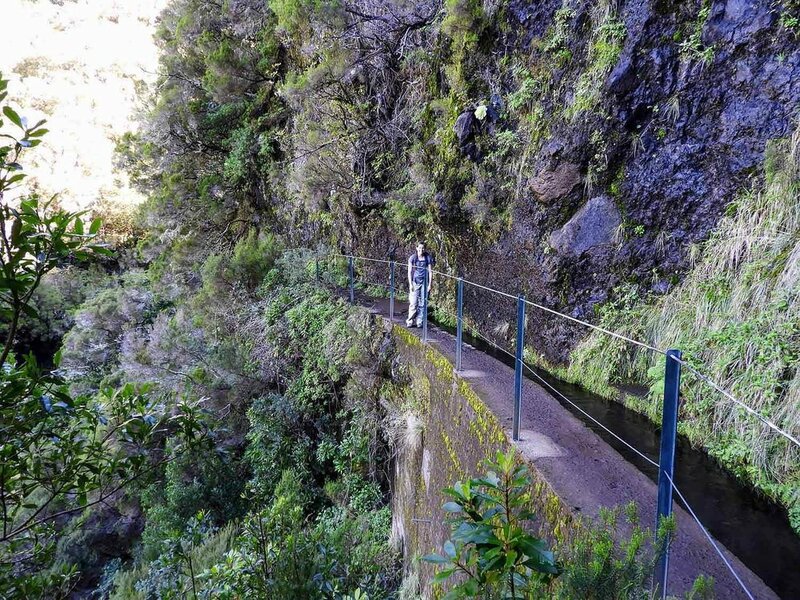 Also known as Kings Levada, Levada do Rei is a must! 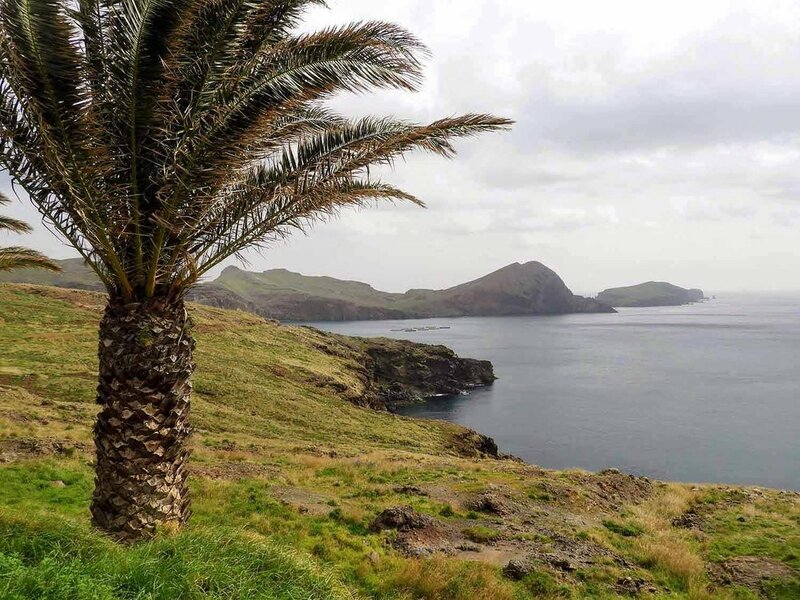 This easy trail encompasses everything that’s awesome about levadas: these winding rain water canals create flat hiking trails while giving access to insanely beautiful terrain. As mentioned above, we hiked over 100km in Madeira in just 5 days and much of it was alongside Levadas like this one. 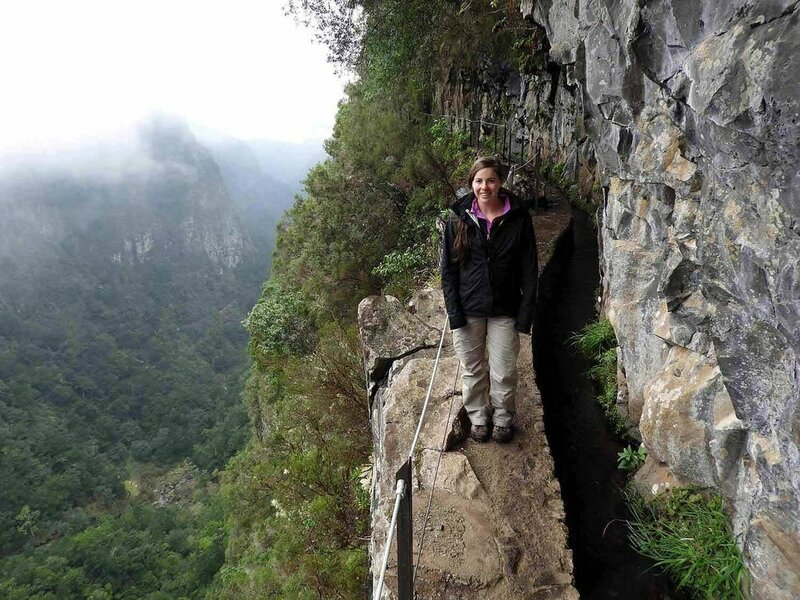 The King’s Levada is in Madeira’s Laurissilva forest, a UNESCO World Heritage Centre, which is home to many endemic plants and fauna... to top it off, the trail will lead you through tunnels, underneath waterfalls and out to stunning vistas. It has it all! Check out the WalkMe Guide for more trail info! 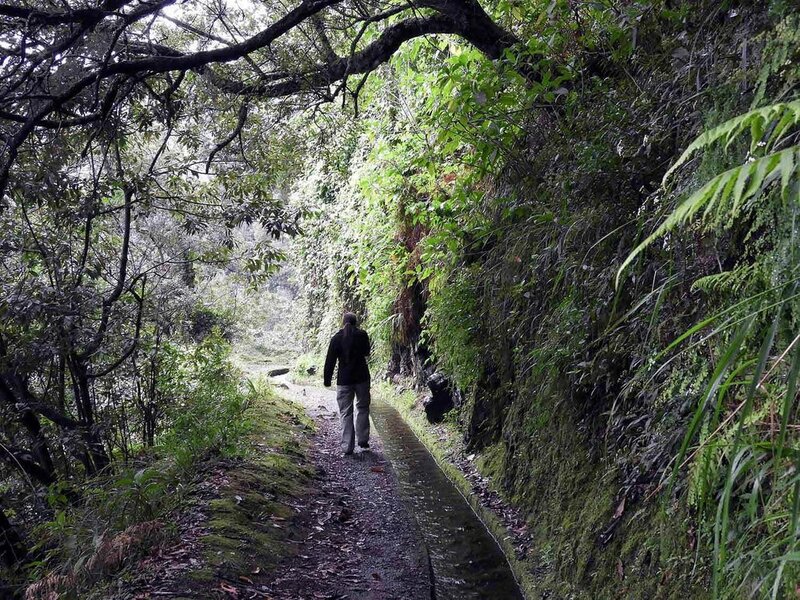 Levada das 25 Fontes, or 25 Fountains, is one of Madeira’s most popular hikes. For this reason, it was probably our least favorite. Don’t get us wrong. We still enjoyed it and still recommend others to go, just know it’s very popular and you will be sharing the trail with others, including organized tours. Despite its popularity, the scenery of Levadas das 25 Fontes did not disappoint. Per it’s name, the trail features upwards of 25 fountains or waterfalls along the way (sometimes depending on the season and rainfall), with one particularly grand waterfall, The Risco Waterfall. The weather was super sunny on the day of our hike, which made it even better. 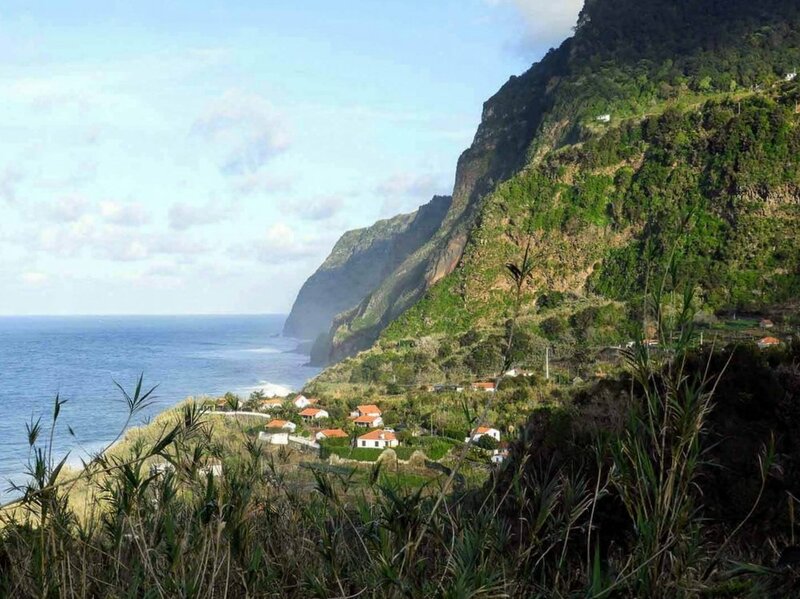 The hike can either be started from Calheta, or Paúl da Serra. More trail info can be found at WalkMe Guide! Um Caminho Para Todos, meaning “a way for everyone” is truly a walk for all. Other Levadas categorized as “easy” may still contain stairs or slick paths, but there are no surprises here. The trail is flat and ideal for people of all ages and fitness levels. 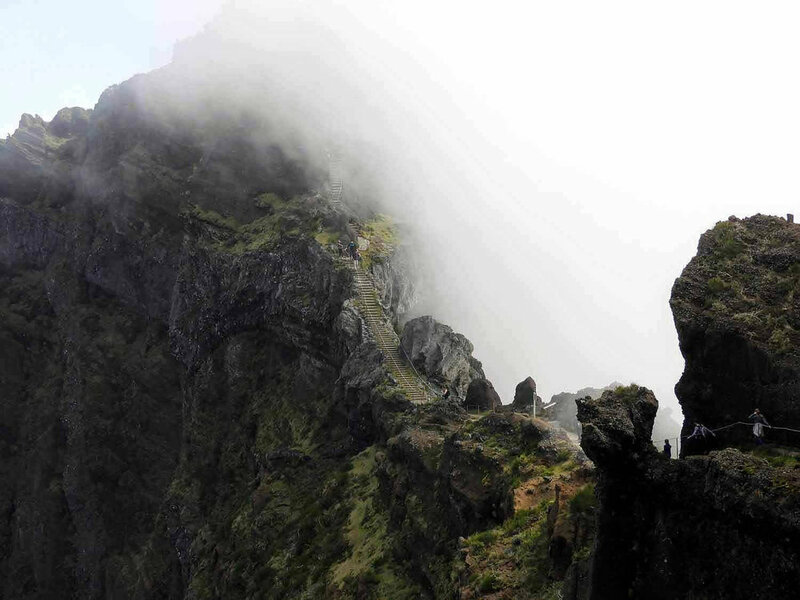 The trail starts at Pico das Pedras and ends at Queimadas, where you have the option to turn around or carry on to Levada do Caldeirão Verde - one of our very favorite Levadas. If you only have time for one Levada while in Madeira, consider choosing the “Green Cauldron” Levada because it’s awesome! You’ll start where you left off at on “Um Caminho Para Todos” at the Queimadas house and continue through a series of tunnels, cross over a bridge or two, and end at a spectacular lagoon with a cascading waterfall. The Levada lives up to its name as the trail is a haven of green flora and fauna - and you don't want to miss the stunning views of the mountains beyond. This hike, especially when paired with "Um Caminho Para Todos", is a longer one (10 miles / 16 km), but isn't terribly challenging and doesn't vary much in elevation. Check out more info at WalkMe Guide! To our surprise, Levada Curral Falso led us to the beginning of very popular Levada we'd heard a lot about, Levada dos Cedros. It was already 6:00 pm, but we decided to check it out anyway, agreeing we would turn back after not too long. However, the hike was so neat, we just kept going. Eventually we’d gone so far, it didn’t make sense to turn back when we could reach the end in the same amount of time. It was as if every twist and turn was beckoning us to keep going. Though incredibly intriguing, the trail was in need of some serious TLC. 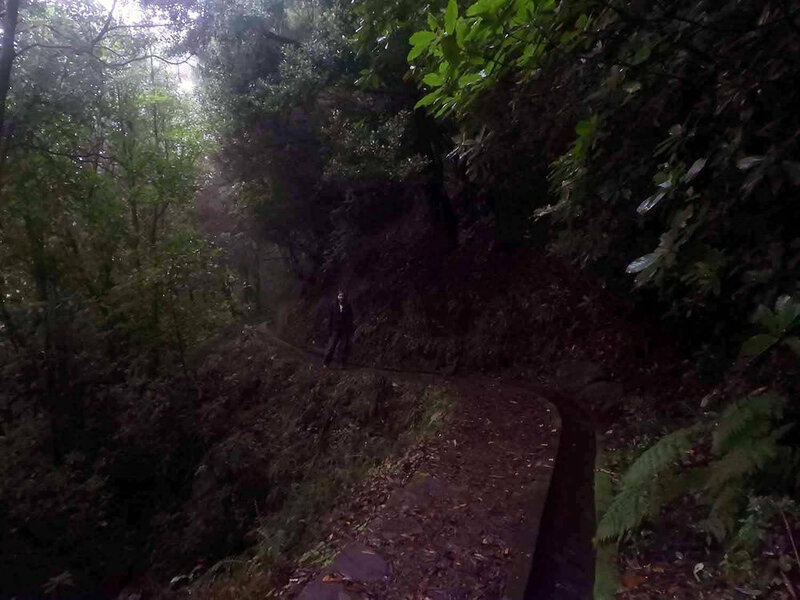 We came to areas where the trail was flooded and/or completely eroded away, leaving us to walk on the balance-beam thin concrete wall of the Levada. All the while, we were surrounded by thick fog, making us unsure how high up along the cliff we were. We had the entire trail to ourselves and oddly enough, there wasn’t a single sound. We kid you not. Not even a bird chirping, or the rustling of critters in the bushes. Nothing. It was eerily quiet, but also serene. The hike was 7.1 km (one way), so it was incredibly dark by the time we were done, esp. deep below the thick forest canopy. Because the initial hike (Levada Curral Falso) was so short, we hadn't brought our backpacks, headlamps, water bottles, etc (yes, we know. we broke all hiking rules, but at least we were using the buddy system...?). Luckily we had one cell phone on us and were able to use the light from the screen to help us see the trail to hike out. Once we hiked a thousand stairs (yes, seriously. 1100 to be exact), we were able to walk down the road about 6 km to where our car was parked. We loved having the trail entirely to ourselves (only because we didn't fall down and die - it would take forever to find our bodies), and the stars that night were unforgettable. *WARNING: Trail may be closed due to flooding and damage. We hiked this path in early 2017, and yes-the trail was marked closed with caution tape. There were sections that were semi-submerged under a few inches of water and a section on a steep hillside that was mostly erroded away by a recent landslide. We were able to VERY carfully pass those sections- but cannot advocate you to try the same. Hiking to the summit of Pico Ruivo (Madeira’s tallest mountain peak!) was our most challenging hike on the island, but our effort was rewarded with incredible views of the island - truly unforgettable! 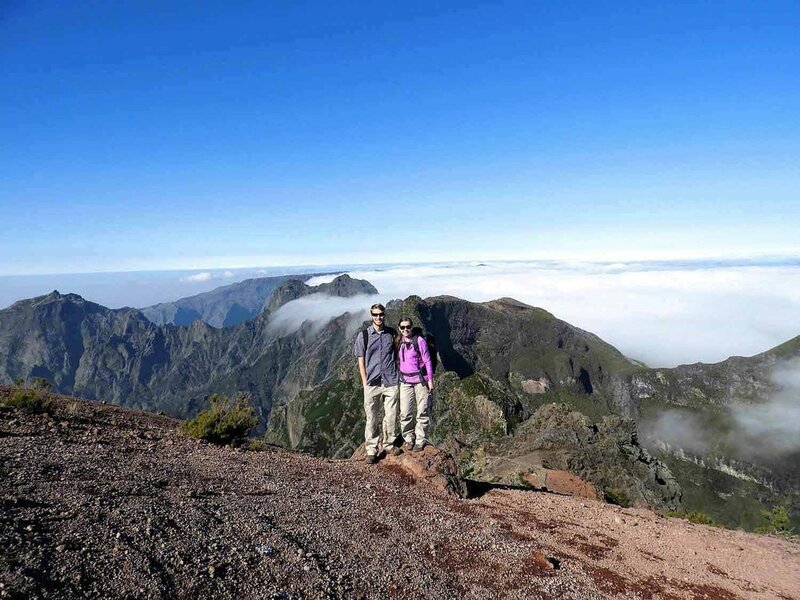 Beginning at Pico Arieiro (5,965 feet), Madeira’s third highest peak, we made our way over and up to Pico das Torres (6,079 feet), Maderia’s second highest peak, and ended at the summit of Pico Ruivo (6,109 feet). We got up early and began our hike before sunrise. We parked at the trailhead on the summit of Pico Arieiro. Just beyond the parking lot, you can’t miss the Portuguese Air Force air control dome. We checked this out for a minute as we took in the majestic mountain views and trail we were about to embark on. The morning was perfectly clear as the sun began to gradually glaze the mountain peaks. The trail from Pico Arieiro to Pico Ruivo is well traveled, well maintained, and well marked; however, the challenging part of this hike is in the various climbs throughout the trail - essentially you summit two peaks along the way, and if you’re going out and back like we did, you do it all over again on the trip back (~11km total). The trail leads you through mysterious tunnels, up to stunning overlooks, over steep ridges, and around striking rock formations - making this one of our favorite hikes of all time! Hailing from the rocky mountains of Colorado, this is a big deal! As we reached the top of Pico Ruivo, the fog had begun to settle in around the peaks and it felt as though we were hiking into the heavens. Some moments in life take your breath away - in this case it was two fold: overwhelming beauty and the cardiovascular climb. Once we reached the top and caught our breath, we found a nice place to rest our bodies, refuel with a picnic lunch, and revel in the vistas that surrounded us - a must for every hike! We didn’t work that hard to reach the top and turn right back around. As always, weather and crowds can be an issue, so we recommend getting an early start and checking conditions before doing so. Safety first! For more trail info, check out the WalkMe Guide , but please note the time listed to complete the hike (2-4 hrs) is typical for one leg of the hike, not round trip. It took us about 6-7 hours to complete. This thin peninsula leads you to the easternmost point of the Island. Call us nerdy, but we get a kick out of this stuff... we strive to see the highest peaks, the lowest valleys, and furthest point possible in each direction. You could say we get around. The beautiful cliff scenery of Ponta de São Lourenço is stunning and distinctly different than that we saw elsewhere on the island. The semi-arid climate and North winds cultivate low (as well as rare and endemic) vegetation and leads to a lack of trees. You won’t find any shade here, so pack those sunnies and perhaps a hat. We underestimated the undulating path of this 7-8 km hike (there are some elevation gains and drops), but didn’t regret it whatsoever. Plan to spend about 3 hours hiking here, and longer if you doddle while taking in the views. The route is popular, so it’s unlikely you’ll have the trail to yourselves, but it’s enjoyable nonetheless. There is a parking lot at the end of the road/starting point of the hike with plenty of space, though it likely fills up on a busy day. For more trail info check out the WalkMe Guide. The trail is named after the caravel sailed by one of the three explorers who discovered Madeira, João Gonçalves de Zarco. Upon approaching this point, he exclaimed to his ship “São Lourenço, that’s enough!”. This walk begins just outside the small village of Ribeiro Frio (meaning cold stream) and follows the levada of Serra do Faial. Though it’s only about 3 km round trip, the path lives up to its name, Vereda dos Balcões, or “Path of Balconies, as it leads to a beautiful lookout. On a clear day, you can see Madeira’s tallest mountain peaks: Pico Ruivo, Pico das Torres and Pico do Arieiro. It’s a great spot to stop and eat a snack - either one you packed, or one you purchased from the snack shack along the route. But be careful - the birds will flock to you, begging for a bite. Afterwards, if you have time to spare, stop in at the souvenir shops of Ribeiro Frio to checkout the locally made goods. Check out the WalkMe Guide for trail info! One of the best Madeira hiking resources: provides trail descriptions, photos, maps and current trail conditions. We used this site heavily in researching & planning our trip. If you haven't already read the Madeira overview page be sure to check it out now!